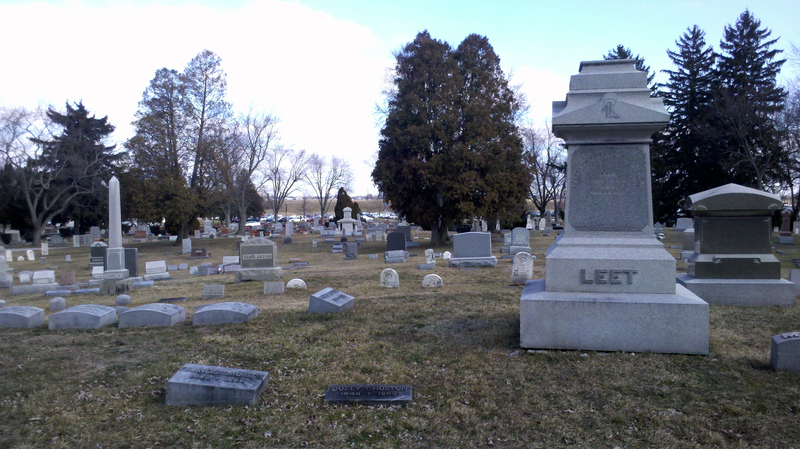 Outlined by a blue-gray February sky, Oak Grove Cemetery has a particularly eerie feel to it. It is quiet, except for the passing traffic on Merry Avenue. Standing at the center of the cemetery, its highest point, gravestones cloud the immediate field of vision in all directions. Very little goes on at Oak Grove. Rolling hills make the cemetery an inviting place to take an afternoon walk, but the overwhelming sense of death turns off many from entering it. Only about 40 people are buried here each year, according to an estimate by Tim Dunn, co-owner of Bowling Green’s Dunn Funeral Home. Those people are laid to rest on the northern-most end of the cemetery, the only place in Oak Grove that has empty patches of grass. 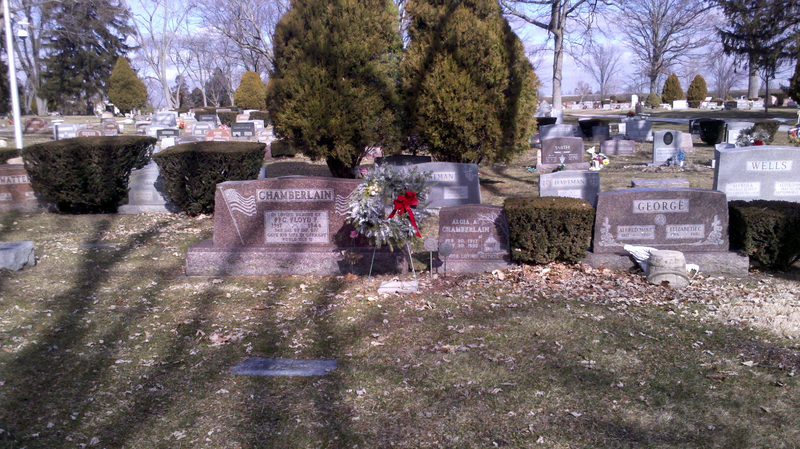 The headstones in that area are often reserved spaces, ones that feature a name and birth year of a person who’s time to leave earth has not yet come. Winter merely adds to the atmosphere of the cemetery. Trees that beem with life during the warmer months of the year are naked, as barren as the skeletons that rest peacefully in the ground underneath. But there is something peculiar about the Oak Grove Cemetery. Something sets it apart. It is smack-dab in the heart of the BGSU campus, wedged between Merry Avenue and Ridge Street, right next to Olscamp Hall. Many people walk past this place every day. The sight of Oak Grove has become so commonplace for BGSU students that many simply are complacent with its presence so close to their everyday lives. Many gravestones like these flood the grassy hills of Oak Grove Cemetery. Photo by Ryan Satkowiak. Many students who have attended BGSU would be familiar with Oak Grove’s existence. The cemetery was founded in 1873, about 37 years before the college was ever built. While Oak Grove is the only cemetery in the Bowling Green city limits, it is not the only place in where people were buried in town. There used to be two cemeteries in Bowling Green. One was located on present-day South College Drive on the south side of Wooster Street. The other was on the current site of Ridge Elementary School. The reason for the incorporation of the land Oak Grove sits on has a political background to it. Back in the early 1870s, Bowling Green was engaged in a political battle with Perrysburg, with each city fighting to be the county seat. During that time, having a rural cemetery was seen as a strong point of the development in the town, according to a 1996 newspaper article by James Kasser. So in 1873, the City of Bowling Green paid $950 to John and Robert Eldridge for the nine and a half acres of land that Oak Grove Cemetery sits on. The stones and bodies were transported from the two graveyards and reinterred in Oak Grove. In April 1873, the city began drawing lines and lots to divide up burial plots. On August 9, 1873 the city began selling plots to citizens. The money made from those sales went to planting trees and other foliage and putting benches in the cemetery in order to give it a “park-like atmosphere,” according to Kasser’s article. The trees planted in the cemetery, mostly willow and maple trees, give Oak Grove the standard feel of a horror movie setting. The often vicious winds that sail through Northwest Ohio glide through the tree branches with ease. The sounds of tree’s movements encapsulate visitors from all angles, giving the feeling that someone else is there, even though no one else can be seen on the inside parts of the cemetery’s gates. 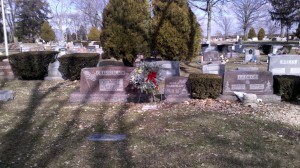 Not many of the names on the headstones are recognizable. 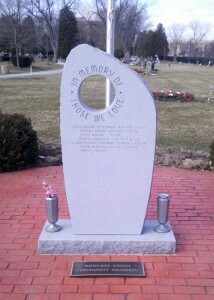 The deeper one walks into the cemetery, the older the monuments become. One cites a date of death in 1887, another in 1883. As the sun begins the set along the horizon, the few lights that are in Oak Grove turn out. Visiting hours are listed as “dawn ’til dusk,” although the front gates rarely close. This usual all-hours access has led to some problems at Oak Grove. Oak Grove's memory wall, which was recently replaced after it was destroyed by vandals. Photo by Ryan Satkowiak. Vandalism at the cemetery has been an issue, given its proximity to a college campus. Perpetrators have caused damage to gravestones and other nuisances. Vandals did their most recent damage in October 2010. The memory wall near Oak Grove’s entrance was destroyed, knocked out of the ground and broken into four pieces. Cost of replacing it was between $6,000 and $8,000, according to an article in the Toledo Blade. However, those instances are becoming less frequent. “I think since I’ve worked here, I can’t remember more than three or four instances in a year for the past 20 years,” said Tim Hammer, the cemetery’s sexton for the past 12 years. Hammer handles the everyday care of the cemetery, including selling graves and preparing them for burial. He estimates that there are around 700 burial plots remaining in Oak Grove, leaving it at about 93 percent capacity. BGSU expansion negatively impacted Oak Grove because as the university got bigger, it land-locked Oak Grove. Buildings surround Oak Grove’s east, west and south sides, while parking lots are on its north side. This prevents Oak Grove from ever expanding. Additionally, the city of Bowling Green granted BGSU land that had at one point belonged to the cemetery, including the area now occupied by Overman Hall. Plots of land at the cemetery cost $325 per grave, according to the Bowling Green finance department. Because of space in the cemetery running low, people are only allowed to buy two plots in the cemetery, Dunn said. Dunn added that his funeral home has had preliminary talks with the city to find new burial grounds ince there is simply no room for Oak Grove to expand. This is to accommodate the citizens of Bowling Green when Oak Grove eventually reaches capacity. While students rarely enter Oak Grove just to observe, the mere presence of it still induces spine-chilling sensations. Walking along the outside of Oak Grove’s gate, along Merry Avenue, the atmosphere of the cemetery still lurks. The unseasonably mild weather has created a thick layer of fog descending on Bowling Green. Visibility decreases, and the inner-most parts of Oak Grove can no longer be seen. The sound of the breeze echoes out from the cemetery, almost as if the deceased are calling out for living company. This entry was posted by Ryan Satkowiak on March 1, 2012 at 10:52 pm, and is filed under Earth. Follow any responses to this post through RSS 2.0. Both comments and pings are currently closed.